Louise run’s Yin Yoga Teacher Training’s (CPD courses) in Brighton and Goa. Yin is becoming increasingly popular in the yoga world, as we are currently over dominate in Yang (dynamic/strong) yoga practice, and are realizing the need for its complementary Yin (slow/gentle) practice, and all the healing benefits Yin has to offer. 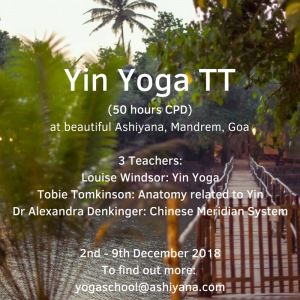 Our Yin course will cover a variety of flows, understanding of fascia and its relationship to the Chinese medicine meridian system. Louise Gillespie-Smith, your Yoga tutor, has been teaching yoga since 2012. Yin is her passion, she teaches a weekly Yin class and monthly 3 hour Yin workshops at Revitalise. Her Yin teacher is Norman Blair, she has completed his Advanced Yin Teacher Training, attended numerous workshops with him and with US teacher Sarah Powers. She loves to continue learning for her own practice and to benefit her students. Louise is an Chartered Level 2 teacher with Yoga Alliance Professionals (UK), which means she has taught over 3000 hours and is a continuing education provider. 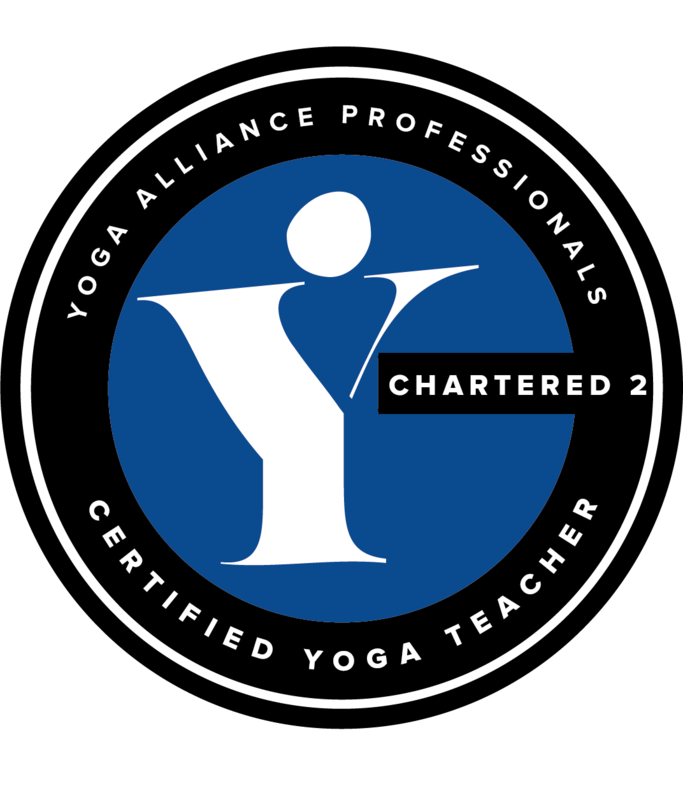 If you do not have a teaching certifcate you can still do the course to deepen your knowledge of Yin Yoga and receive a certifcate of attendance. You will not be able to teach it though until you have taken your YTT, we can swap your certifcate if you go on to take a YTT course within 3 years. Please note after June the course price will increase due to VAT. September’s course will be £400 + VAT early bird/ £440 + VAT full price. with Louise and Tobie Tomkinson. 1st – 8th December 2019. Yin Yoga is becoming increasingly popular; perhaps as a reaction to the ever increasing busyness of life, fast moving technology, and other stressors, and it is a perfect balance to the more dynamic “Yang” Yoga practices. It is slow, meditative and mindful; a chance to press pause and soften into the moment. Most Yin poses are floor based, held between 1 and 20 minutes, and they allow us to explore the resistance points in our practice and all their influences; from muscles, soft tissue and neural networks, through the breath to the emotions, awareness and states of consciousness. Given time we can ask – what is sensation and how can we release what may show up in the physical body as ‘stretch’, the mental body as perhaps pain and the emotional body as a myriad of other things? Whilst we will dive into the world of muscles, fascia, myofascial chains and other connective tissues, this is far more than just a physical practice. It is a chance to deeply explore one of the fundamental philosophical concepts of Yoga – the Koshas. Due to the slower pace of the practice and its historical evolution we can also more easily focus our attention to the Traditional Chinese Meridian Lines – exploring sequences that target the physical, emotional and energetic benefits of these in correlation with the daoist elements. Teaching Yin is a lovely opportunity if you wish to help others to explore their Koshas, guiding them to their own inner stillness. This practice also creates more space for you to share philosophies, meditations, stories, poems and other loves from your life. As always at Ashiyana we will share and explore tools and experiences whilst encouraging you to find your own voice/style and to share from your heart. After the training you will receive either a 50 hour CPD certificate (Yoga Alliance) or attendance certificate if you are a Yoga teacher already, or a certificate of attendance if you are taking the course simply to immerse yourself in the Yin practice.